How to bring your design and content processes together. A common challenge for any digital team is keeping content production in line with design. There are lots of different approaches to this and GatherContent offers a few ways you can bring the two disciplines together for a better overall experience. The most common way to do this is to get your design team involved in building the templates in GatherContent. Get everyone agreed on what content needs to function and exist on each page. The sooner this conversation starts, the better. This is true in terms of getting and keeping the design team involved and also in identifying any potential blockers and challenges for the project. You can then start discussing how those content types might be presented and how it might look in GatherContent. Once you have your templates and your structure in place, you can use instructions and guidelines to further align the content and design phases. Item guidelines are useful because you can link to a wireframe or early prototype of how that item might look. This helps content authors to visualise how content will be presented. You can upload multiple wireframes for different presentation types, for example, mobile phones, tablets and desktops, to highlight the fact that content isn’t necessarily predictable in how it is going to be presented and will look differently depending on how the user is accessing it. This is a nice way to have user centred content production and to help design and content work together to function like friends. The design starts to think from a content creators point of view and vice versa. You could also add a design phase to your workflow status so content templates are reviewed by a designer. 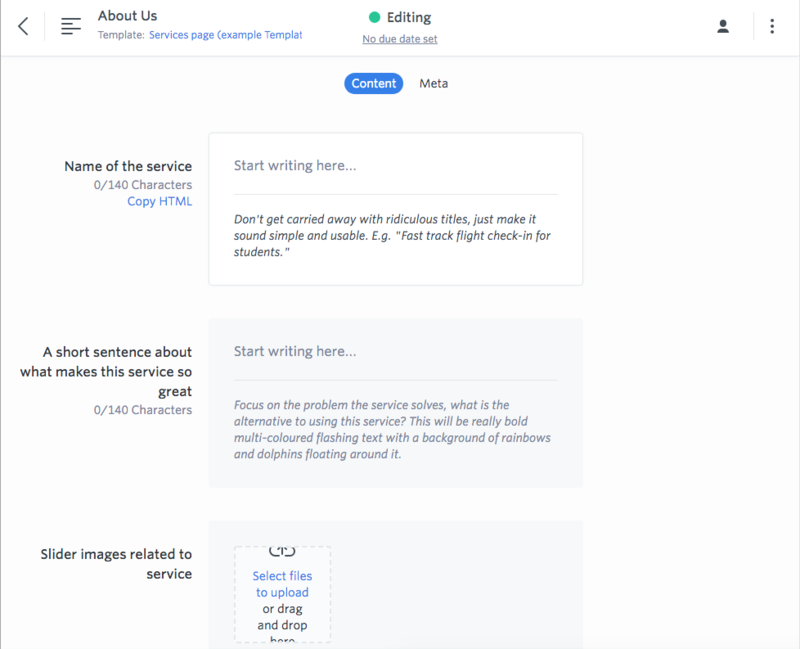 This embeds design into your content production workflow using workflow statuses. 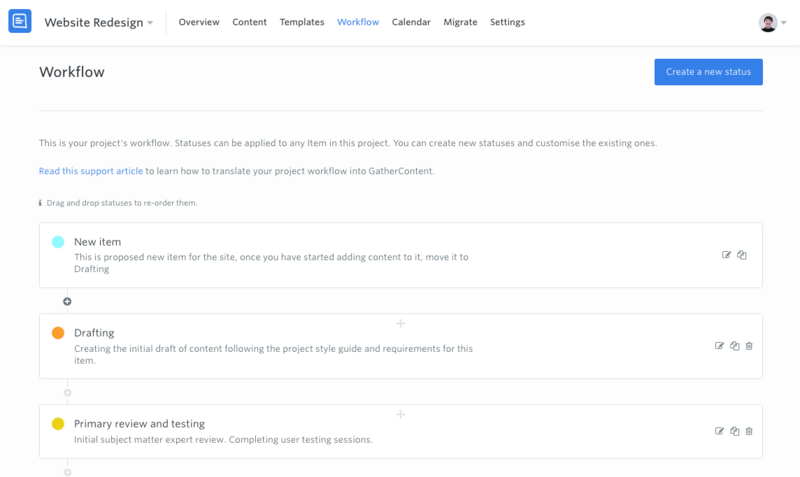 Finally, and if you want to take it a step further, you can also use the API to connect GatherContent pages to wireframing tools or HTML prototypes. This allows for a seamless process and relationship between content as it’s produced and drafted and the prototype.